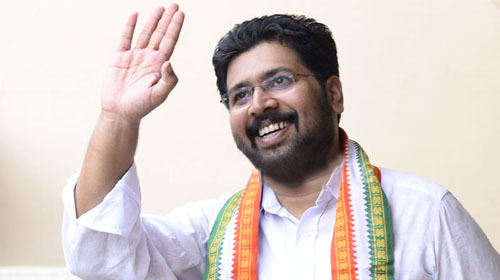 Thiruvananthapuram: Congress candidate K S Sabarinathan, sweeping all panchayats at Aruvikkara has won by 10,128 votes which is more than what his father G Karthikeyan had when the latter contested the Assembly poll in 2011. 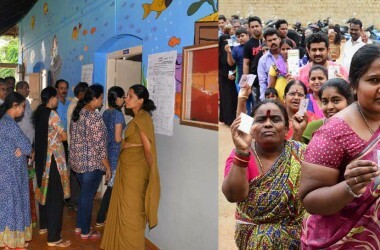 Mean while it is for the first time in the electoral history of Kerala, BJP candidate has secured more than 30,000 votes in an Assembly poll. O Rajagopal has got 34,145 votes and Vijayakumar acquiring 46,320 votes has retained the second position. After losing the Aruvikkara battle, LDF candidate Vijayakumar met and congratulated Sabarinathan on election win.